Deep rich red in colour, the nose is very perfumed with aromas of pure cassis, violets, blackberry and graphite combined with fine mocha-coffee French oak. The palate is structured and elegant with ripe cassis fruit and a fine-tannin finish. Vintage 2014 was cool with very slow ripening after Christmas and cool night-time temperatures. 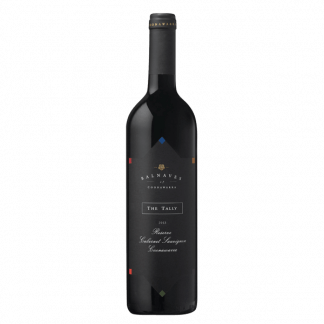 Cabernet Sauvignon from our Walker, Quarry and Dead Morris Cabernet vineyards (97.5%), was blended with (2.5%) Petit Verdot, from Dunstan. This wine spent 18 months in tight-grain French oak from Sylvain, Taransaud, and Berger cooperages, before bottling in December 2015. Deep rich red in colour, the nose is very perfumed with aromas of pure cassis, violets, blackberry and graphite combined with fine mocha-coffee French oak. The palate is structured and elegant with ripe cassis fruit and a fine tannin finish. This wine will reward careful cellaring, and we recommend decanting before drinking. Vintage 2013 produced good crops with fruit coming in late April and with good fruit definition. Blended from our Dead Morris, Quarry and 1976 Old Cabernet vineyards, this wine spent 19 months in tight-grain French oak from Taransaud, Saury and Berger cooperages, before bottling in December 2014. Deep rich red in colour, the nose is very perfumed with aromas of pure cassis, violets, blackberry and graphite combined with fine mocha-coffee French oak. The palate is structured and elegant with ripe cassis fruit and a fine-tannin finish. This wine will reward careful cellaring, and we recommend decanting before drinking. Deep rich red in colour, the nose shows aromas of cassis, seaweed and a touch of blackberry, combined with fine mocha-coffee French oak. The palate is structured and lean with ripe cassis fruit and a fine tannin finish. This wine will reward careful cellaring, and we recommend decanting before drinking. 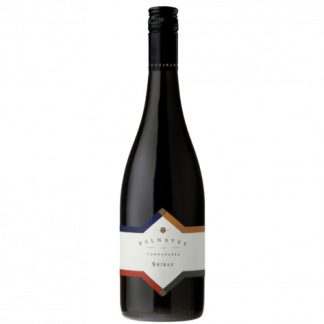 Dark red colour, the nose shows a complex array of cassis, elderberry and blackberry, a touch of seaweed and a faint perfume of wild blackberry from Petit Verdot. Long maceration on skins has produced a complex, more elegant savoury style. A wine that will reward cellaring and benefit from decanting. Deep rich red in colour, the nose is intense with aromas of cassis, blueberry, mint and seaweed, combined with fine mocha-coffee French oak. The palate is structured and lean with ripe cassis fruit and a fine-tannin finish. This wine will reward careful cellaring, and we recommend decanting before drinking. Deep rich red in colour, the nose is intense with aromas of ripe cassis, liquorice and blueberry, combined with fine mocha-coffee French oak. The palate is quite fine and elegant with ripe cassis fruit and fine-tannin finish. Fine aromas of ripe cassis, liquorice and spicy leather combine with fine smokey French oak. Somewhat closed at this stage but tightly packed and balanced. Medium to full bodied, with a solid fruit core that is ripe and defined and runs through the palate from start to the fine grainy tannin finish. A very fine vintage 2008 wine with excellent tannin, flavour and balance. 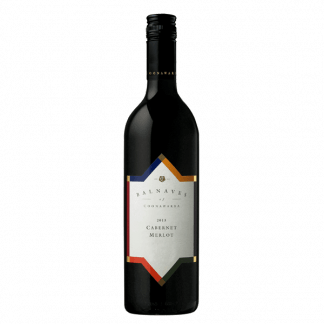 The 2007 Cabernet Sauvignon is deep rich red in colour, the nose is perfumed with aromas of ripe cassis, liquorice, and some spicy notes, with subtle vanillan oak. The palate is lean and structured with tight cassis fruit and firmer tannins from a cooler year. This wine will reward careful cellaring. The 2006 Cabernet Sauvignon has a mid-deep purple tinge. Intense perfumed nose. Lovely vanillan oak smokey notes, dark blueberry and blackberry fruit, touch of liquoroce. It is bright and attractive. It is medium bodied but again bright fruit with good length but softer tannin finish. Not as big as 2005 or 2004 but very appealing perfumed fruity balanced wine. This 2005 Cabernet Sauvignon is deep red in colour with a red/purple tinge. It has a rich ripe nose opulent fruit plums, spice, fleshy ripe fruit, with more complex liquorice and slight coconut note. The palate is solid with firm dark fruit spice and solid tannin structure. This is very solid wine. We think this will age very well. The 2004 Cabernet Sauvignon is mid-dark in colour with a red tint. It has lifted sweet vanillan oak, the nose has milk coffee aromas and perfumed dark fruit. Slight jube note. It has a full rich palate, deep fruit and linear feel to the palate with a firm tannin finish with slight astringent tannins. Elegant cool vintage style tight stracture. The 2002 Cabernet Sauvignon is deep red in colour with a red tinge. The nose is big with lifted blackberry, cassis, tobacco aromas with leafy notes underneath typical of 2002 vintage. The palate is solid and fleshy, rich cassis fruit and length. The 2001 Cabernet Sauvignon is deep red in colour with red tinge. It has a sweet fruit nose with damson plum, liquorice and cassis fruit notes. Bright fruit with smoky oak well integrated with a touch of earth. The palate is lean with good depth of fruit, complex dark berry fruit, vanilla cedar and very good length. The 2000 Cabernet Sauvignon is deep red in colour with red tinge. The nose is ripe with cassis and smoky oak, soy sauce, dark olives and roasted nut notes. It is complex and perfumed. The palate is soft with medium weight, with cassis and charry oak. It has good length. Drinking early but will hold. Needs decanting and aeration to show it’s best. The 1999 Cabernet Sauvignon is deep red in colour with brown tinge. The nose is big and deep with dark berry fruits, coffee and leather and spice notes. The palate is soft and full bodied, deep fruit flavours with rich tannins on the finish. Solid and rich. Very good vintage. The 1998 Balnaves Cabernet Sauvignon is dark red in colour with slight brick tinge. Big nose with dark sweet fruit, some molasses notes as well as cassis and smoky oak, and cedar. The palate is solid displaying prunes, cedar, tobacco, leather and has a firm tannin finish and good length. Drinking very well but needs more time. Solid wine from a good vintage. The 1997 Balnaves Cabernet Sauvignon is medium dark red in colour with brown tint. The nose is lifted showing mint and leafy Cabernet notes with some eucalyptus notes. Still good fruit on the nose. The palate is sweet with dark fruit, mint, liquorice, dark chocolate and eucalyptus notes. Still firm and tannic. Looking better with age. The 1996 Balnaves Cabernet Sauvignon is mid red in colour and brick tinge. The nose displays dark fruit cassis with slight leafy edge and malt but still tight and closed. Some age characters showing through on the nose. The palate is solid with dark fruit, liquorice, firm tannins and a firm structure. It is elegant with dark fruit. Good stage to drink now. The 1995 Balnaves Cabernet Sauvignon is light red in colour with a slight brick tinge. The nose is big with sweet fruit, mint, liquorice, date prune. It is still sweet and soft with some creamy notes. The nose is full and generous. The palate is soft and full of rich fruit, date and prune notes with a firm finish but the tannins slightly drying and grippy. Showing development now and best to drink. Drink now at its best. The 1994 is deep red in colour with a brick tinge. The nose is lifted with complex dark fruit, prunes, old furniture notes some charry notes with underlying leafy fruit. The palate is sweet with complex fruity mature flavours, as well as vanilla and malt with a firm finish. The 1993 Cabernet Sauvignon is mid red in colour with a slight brick tint. The nose has charry oak notes, tar, cedar as well as some leafy notes and tobacco. The palate is lean and fully evolved with tight oak and grippy fruit left on the finish. The fruit has faded. The 1991 is mid brown colour with a brick tinge. The nose is intense with vegemite, malt and leather aromas also soy sauce. After aeration solid cassis fruit, slight seaweed and iodine aromas emerge. A little bit of VA showing through. The palate is solid with tight mature fruit characters, good structure, cedary flavours and length. Drinking very well now. This wine retains more fruit and structure than other 1990’s and 1991s, especially on the palate. Drinking now – won’t improve. The 1990 Balnaves Cabernet Sauvignon is mid red-brown in colour with a brick tinge. The nose is complex showing sweet bottle age aromas, mushroom, tobacco, truffles and soy sauce notes. The palate is sweet earthy fruit, good length still with an elegant finish and tannins still holding. It is just starting to fade now and is at it’s peak. It won’t improve but will hold for some years.